First was the connection to the land with a coastal and outback feel. The open spaces of a wide brown land played a significant role. A sense of contrast that is simultaneously austere and rich. A true sense of inclusiveness that celebrates diversity and multiculturalism. And finally that special larrikin mentality that does not take itself too seriously. Which are some fine words, though I'm not sure how they relate to the actual typeface, which looks as if it could have just as easily emerged from Berlin or Amsterdam; I can see a bit of FF DIN and Erik Spiekermann's Meta in its heritage; meanwhile, the distended 'k' resembles earlier versions of Google's Roboto. Perhaps, at a stretch, the rounded tail of the ‘y’ could count as “Australian”, feeling a bit more casual than the sharp angles of more geometric typefaces. As for “special larrikin mentality”, I'm not sure I see it, but that may not be a bad thing: the idea brings to mind some kind of Ken Done-themed Comic Sans, with serifs modelled on Dame Edna's glasses or something. Could one make OneABC look more distinctly “Australian”, rather than generically modern? Perhaps increasing the x-height to be equal to the height of capitals would embody the spirit of “mateship” and the “fair go” (and prompt the typical accusations from the Liberal Party and the Murdoch press of being subliminal Marxist propaganda, thus keeping with the ABC's reputation). Other than that, short of having boomerang-shaped descenders or other tourist-shop kitsch, I can't think of how one would design an “Australian” typeface. Cult 1970s BBC comedy troupe The Goodies, who recently reissued some of their shows on DVD and did a successful tour of Australia (where, thanks to the ABC's buying of their show, they are a national institution), are now doing a UK tour, starting off with a show at the Edinburgh Festival. Mr Windschuttle has been a fierce critic of the so-called "black armband" view of history and claimed in his 2002 The Fabrication of Aboriginal History that massacres of Tasmanian Aborigines had been exaggerated. The eight-member board already includes right-wing columnist Janet Albrechtsen and conservative anthropologist Ron Brunton. Those on the "anvil" side of the culture war, of course, protest loudly. Historian Stuart Macintyre, who has often crossed swords with Mr Windschuttle, said: "The whole point about a public broadcaster is to be a place of a plurality of views. A precondition for that is that the people who are directing it respect that role and don't try to declare other views to be illegimate in the way that Windschuttle has." It is unclear how much power the board will have over the ABC's day-to-day operation, though the day is getting nearer when the Australian national broadcaster becomes a big hammer in the culture war, the stern, paternalistic voice of the Howard government, dictating the official party line on issues, from current politics to history to culture, and consigning un-Australian views to the wilderness by omission or one-sided dismissal. Then, once it is a trustworthy organ of the government, maybe it will once again get some decent funding. Scenes from Howard's Australia: ABC censors Deepchild music video because of it containing a political statement condemning Australia's refugee policy. The ABC's transformation from an independent alternative voice into an inoffensive soma-holiday for Relaxed and Comfortable Australia seems to be well advanced. 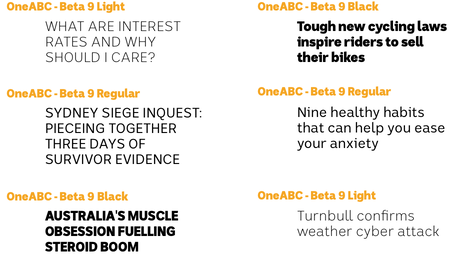 Election-related sites: The ABC is running an election weblog, linking to election-related articles everywhere, for all you political trainspotters out there. Speaking of trains, a group called Public Transport First want to get the politicians to support public transport, rather than just building more freeways.